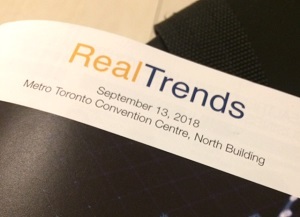 With Canada’s burgeoning cannabis industry projected to be worth $8-$10 billion annually, it’s no wonder an overflow crowd jammed a RealTrends forum recently to hear CRE experts discuss issues and opportunities in the sector. That drew a hearty laugh, but the commercial real estate professionals were there for the latest insights on the cannabis industry and how it will interact with real estate. The overriding message was for property owners and managers to truly understand the emerging sector. Rewards can be high, but the potential pitfalls are many. “This industry is different, I think that’s the one thing from what I’ve seen,” cautioned Dwayne Doolan, vice-president of leasing at Fiera Properties Ltd. “You, as the party dealing with these types of businesses, have to be much more proactive in what you understand about what they are doing. “Are they properly licensed? Are they able to carry on business, particularly when it comes to growing and the distribution side? The retail . . . perhaps your space isn’t as purpose-built, so perhaps it is less critical although it is still important. That set the tone for an informative session. Doolan’s comments about licensing and purpose-built space in particular led to significant discussion. RealCanna REIT CEO Gopikannan Pillai broke the industry down into three basic sectors from a real estate perspective; grow ops and production, warehousing/distribution, and retail. While retail is getting the most attention as the Oct. 17 decriminalization date looms, grow ops and production require highly specialized facilities. Depending on the type(s) of cannabis being grown, each strain could require separate growing and production areas. Pillai said upfront costs to create these facilities can be very high. Brennan said traditional insurance might not cover this type of operation, and listed security, regional zoning regulations, risk and legal issues for property investors, and “end-of-term” issues as other considerations. Licenses are granted for specific parts of the process, to specific companies, at specific locations. And, they cannot simply be transferred. The other major area of discussion was retail, where Doolan said Fiera is seeing most of its opportunities in the sector. Jamie Paquin, a partner with Daoust Vukovich LLP, said the storefront concerns have changed as property managers attain a better grasp on the industry. Competition is already fierce for licenses, space and a positive public image. “They (retailers) have more to lose than the landlord does if they don’t have an attractive brand,” Paquin said. “Initially, landlords were building a lot of motherhood type stuff (in contracts), but when it gets down to it to get a deal done or not, we are relaxing on that. “At the start we were concerned about minors not being allowed on the premises, or smoking or consumption, but the licence requirements alone take care of all that and the penalties are so strict. But, as retailers race for prime space even before some are granted licenses, property managers must be diligent in other areas. “They are placing restrictions on that tenant,” he said. “When you are applying for your license, my premises is first in line. I want it included in your licence. Doolan said retail deals which are completed have been signed for “well above market rates” and most contain protection clauses for the landlord. “There are penalties in place. If they don’t get their licence and have to terminate, then we get paid back any money that we would have put out as well as future rents,” he said. Although there are serious concerns about retail failures, they’re not as critical as for grow ops and production facilities. Part of the reason is many cannabis retailers will be more reminiscent of an electronics retailer than a smoke shop. In many cases, Pillai explained, customers will walk in, “pick up an iPad” to browse the various products available and then make their selections. Another area of caution on the retail side is in exclusivity clauses, Paquin said. “Everything under the sun is going to be laced with this stuff, so if you give an exclusive for cannabis products you could be shooting yourself in the foot for future types of retailers,” he said. As an example, he cited a restaurant which might serve a cannabis-infused dessert, a drug store selling sunscreen or lotions, or cannabis drinks. While the execution can be complex, the bottom line remains the same, said Pillai.